Today's WB Primary TET Paper leaked? Rumour or Reality? 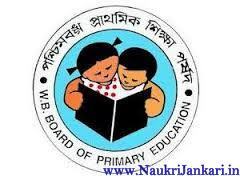 Finally WB Primary TET 2015 written exam has been successfully held today i.e. on 11.10.2015. Some news channel are claiming that the question paper was leaked before the exam. Go through further. Primary TET 2015 Question Paper leaked again before exam? Rumour or True Story? Some news paper are giving their breaking news that today's TET question paper (held on October 11, 2015) was leaked in whatsapp before the conduction of exam. It was not sure that the leaked question paper was same as today's exam paper. May be it was another paper, not the original one or may not be. It can not be surely said, just assumed. May be it was a rumour. Disclaimer: We are just giving here what some leading news channels are showing. Now time will say what was actually happened. Candidates are advised not to trust on such news without any proof. What do you think? Share your thoughts and opinion here. Also don't forget to share how your today's exam was. 0 comments for " Today's WB Primary TET Paper leaked? Rumour or Reality? "